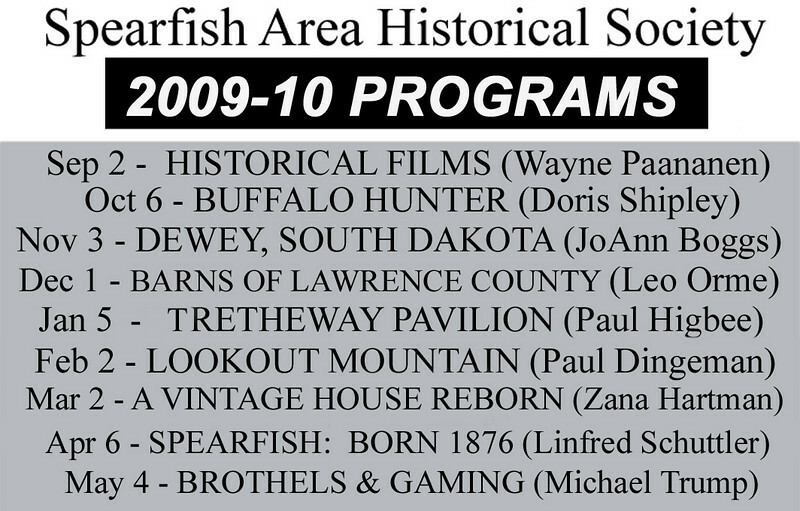 Meetings of the Spearfish Area Historical Society are the first Tuesday of every month, September through May, at the Spearfish Senior Citizens Center. Sessions begin at 7:30 p.m. While our 2009-10 season concluded on May 4th, we'll soon be posting the tentative schedule for 2010-11, which begins in September. Check back for a sneak preview of what promises to be another year of outstanding programs!